As we approach the end of the year (and the end of this project), the official statehood date for each of the remaining states drifts further away from the founding days of our country. As a result, the beer industry history for these states becomes sparse, with a more modern focus. As Prohibition approached, it became harder for each new state to make a mark in brewing history. For the states that had a well established pre-Probition brewing industry, the ability to restart at the end of prohibition was an easier task. However, for those states that did not have an established brewing industry, there were few influences to help reverse the laws after the passing of the 21st amendment. For these states, the effects of Prohibition often lived on much longer than the law itself. This week, we are celebrating the beer of North Dakota, a state that joined the Union in 1889. To put that into perspective, Adolphus Bush began brewing a light Bohemian lager called Budweiser 13 years earlier. For North Dakota, the most noted early brewery in the state was the Dakota Malting and Brewing Company which operated from 1961 through 1965. At that point, the brewing industry in the country was transforming into a few large brewers. When the Dakota Malting and Brewing Company closed up shop in 1965, no other brewer operated in the state until 2011. Issues such as distribution fees, production maximums, and residents (lack of) taste for craft beer were all major factors in this beer drought. However a few intrepid home brewers decided end this era and share their hobby with the public. One of those home brewers was Mike Frohlich, the co-owner of Laughing Sun Brewery which we were very lucky to have the opportunity to experience some beer from this week. Also joining us this week were some other folks also on a quest for the 50 state experience. Laughing Sun does not bottle their beer, so this week you are reprieved from bad photos of beer bottles. The first beer we cracked into was called Sinister Pear. Earlier in the year, we had a Prickly Pear beer from Shiner, but a prickly pear is a cactus, not a tree fruit, so this would be the first pear beer of the project. And the first pear beer anyone of us ever tried. In the glass, this beer was light golden and cloudy. The flavor was nicely balanced, with a slight hint of fruitiness from the pear. I was expecting a more powerful fruit taste, and was pleasantly surprised with subtleness of fruit in this beer. While it wasn’t a beer that you would sit around a fire and drink a six pack of (meaning it did not pass Dawne’s Solo cup test), it was an interesting beer that was full of character. Moving on from the Pear, we opened a Pale Ale called the 109. This beer was a golden honey color in the glass, a bit darker than I expected for a Pale Ale. It was also hoppier than a typical Pale Ale, which wasn’t a problem, but it was different. I would describe this beer as a typical ale that has a slight bitter finish. I really enjoyed it, would have drank more if I had it. Next we tried a Strawberry Wheat. In the glass, this beer was really pale, and it had a distinct strawberry nose. 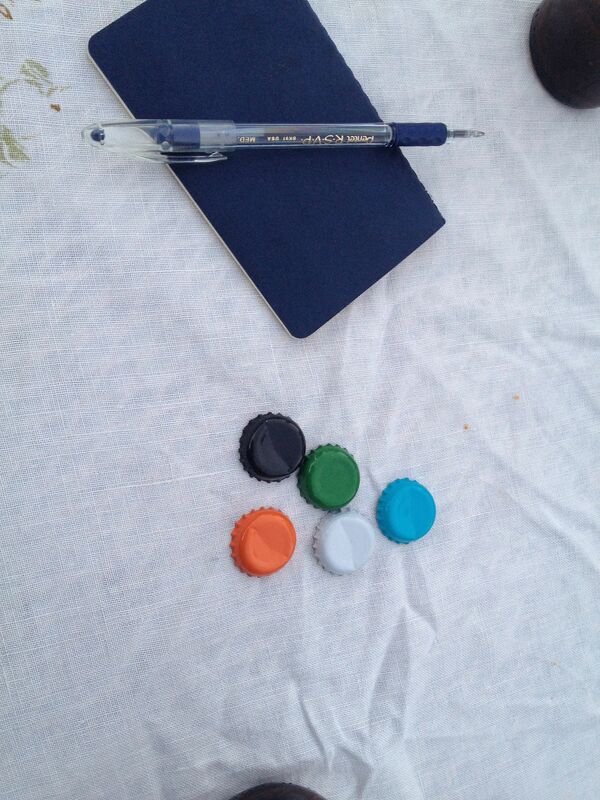 This beer had mixed reactions around the table. Everyone enjoyed it, but there were comments that it reminded some folks (including me) of a childhood cereal. In the end, we deduced it might have been from the combination of the strawberry flavor mixed with the wheat. Two common cereal ingredients. 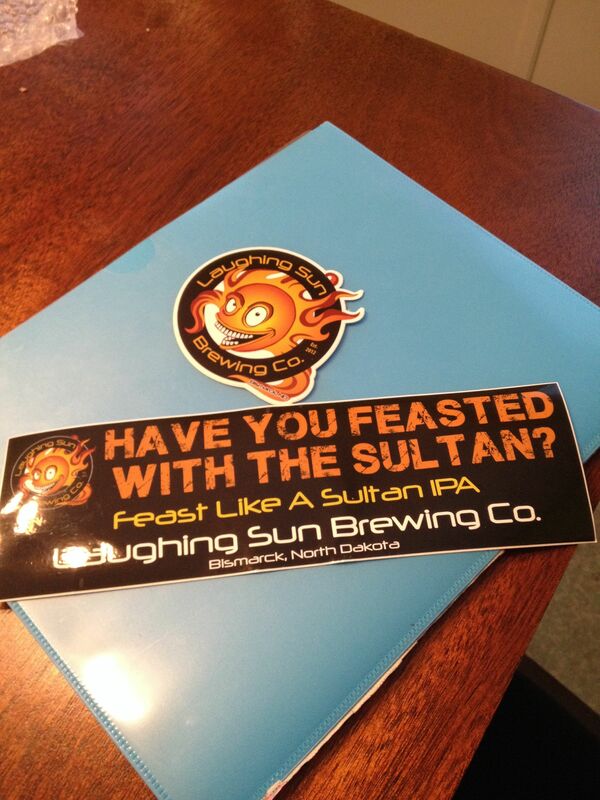 After the Strawberry Wheat, we opened up a Sultan’s Revenge. This beer, with its nice caramel color, was loaded with a piney hops smell. It was a very enjoyable beer that while super hoppy left no bitter after-taste. It was an all around favorite among the group. And, we finished off the evening with a Porter called Black Shox Porter. This beer was all about the malt. It was the first thing you could smell in the glass, and it was right in front for the flavor. Presenting itself as a flavor mix of chocolate and coffee, this beer was mild but full of character and enjoyable flavors. There was no after-taste at all with this beer, making it rather pleasant to drink. More please. In the end, we really enjoyed the beer from North Dakota, and are pulling for the craft beer industry in the state. Thanks for Eliane and Lee for joining us this week, we really enjoyed your company, and hope we furthered your quest for 50 states by a few more beers. Thanks to all the readers for tagging along again this week, and special thanks to the folks at Laughing Sun Brewery for making an enjoyable beer. We really enjoyed them.